The Second Amendment as a Litmus Test? Most of the political class hates being asked about anything “gun” related. Why? Because the issue itself is a looking glass into their core ideology. When ANY member of the political class isn’t truly energetic or enthusiastic about your ownership of this tool, they’re signaling you in no uncertain terms they have ZERO trust in you. None. And when they place no trust in their constituents all while proving to you they’re quite willing to deny upholding the highest law of the land, The Bill of Rights, knowing they took an oath to obey and defend it, why would any of us ever trust them for any reason? What you’ll hear from many of these folks are examples of side stepping. My own local House Representative does this frequently. He’ll use an example that because there are crazies out there, curtailment of inalienable rights is just. Think about that. He admits there is a danger present, and his response is to remove my defense against danger. That’s his plan? “Victim Creation through Legislation” should be his campaign slogan. When he speaks about how some people shouldn’t have this or that, what does that have to do with you and I? Is there a compelling reason you and I are made to suffer for the actions of another? The reason this doesn’t make sense to you and I is really quite simple. It isn’t about us. This has never been about you and I. It’s always been about a political class that doesn’t trust you and will peel you back a layer at a time until they think they can trust you. Think on that. What woeful existence would you need to occupy in order for a politician like this to trust you? Seriously. Read what Senator Celsi wrote and ask yourself what circumstance you’d need to inhabit in order to be worthy of her trust? I don’t know much about Senator Celsi. But what I can tell you boils down to one confirmed thing. She doesn’t trust you. Any of you. You’ve broken no laws all while participating in the political process in an ethical manner. 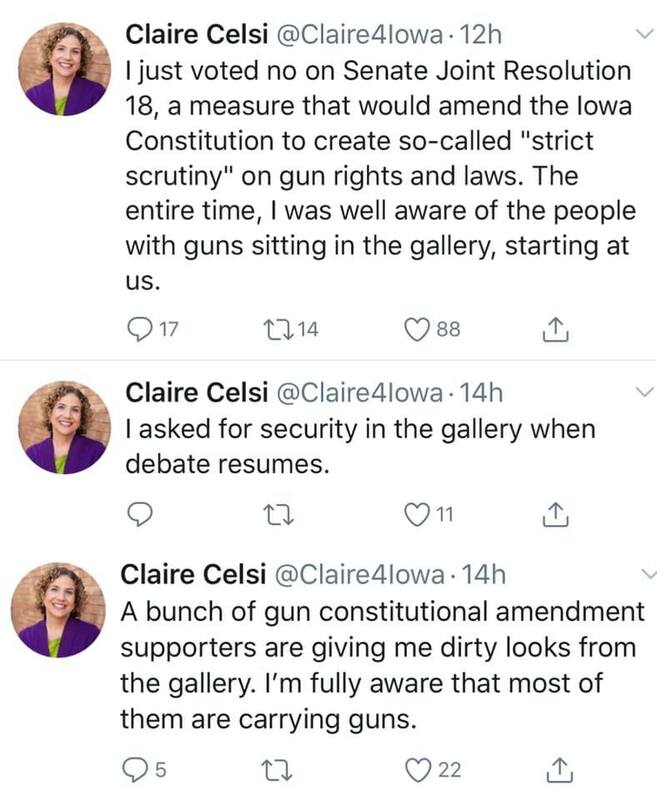 As a professional politician she’s either naive enough to assume you and I won’t notice her complete and total disrespect of every law abiding citizen, or her brutal honesty about her disregard for your basic civil and human rights shows how brazen she is towards the fact she’d prefer you didn’t exist. Possibly both. From this point forward we should be using the 2A as a litmus test on every politician in every realm. If they can’t get the basics of trust and loving kindness right, you should not only fear them, but work actively to remove them from a place in which to rule you. When they don’t trust you, they intend to rule you whether they realize it or not… And is that good governance? ← Previous Previous post: Worst advice I hear in my industry?? ?